An Istanbul court dismissed the case of Cumhuriyet daily reporter, Pelin Unker, who has been tried for publishing a report on Paradise Papers, leaked documents in 2017 involving off-shore companies of prominent individuals around the globe. Unker, a member of the International Consortium of Investigative Journalists (ICIJ), had been sentenced to 13 months and 15 days in prison in January, on charges of insult and libel for publishing a report on the off-shore companies, owned by then Prime Minister Binali Yildirim’s sons. Her sentence is pending appeal to be executed. Another lawsuit of libel was put forth against Unker. 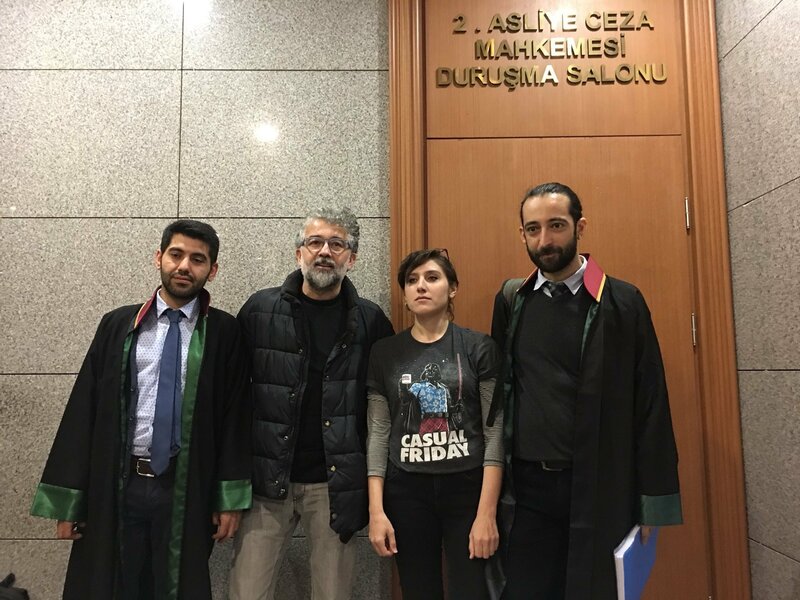 This time one of the plaintiffs was Calik Holding, one of Turkey’s largest companies operating in the fields of textile, energy, finance, media, and mining. The other plaintiffs were Serhat and Berat Albayrak (Turkey’s Finance Minister and Turkish President Tayyip Erdogan’s son in law), high-level executives of Calik Holding, at the time off-shore companies were founded. The judge ruled that the case should be dismissed for it has run out of the statute of limitations. “The judge looked at the lawyers of Calik Holding and Berat-Serhat Albayrak, and ruefully said, ‘Unfortunately I have confirmed that the statute of limitations has run out,'” Unker noted. She said that this statement is a clear display of the pressure judges face on cases related to government figures. The Paradise Papers were obtained by Germany’s Sueddeutsche Zeitung. Subsequently, it was shared with the ICIJ and a wide range of media outlets. The Republican People’s Party (CHP) and the Peoples’ Democratic Party (HDP) submitted a motion to the Turkish parliament following the leakage, to investigate the content and related individuals. According to the leaked documents, former parliament speaker Binali Yildirim’s two sons are owners of Malta-based offshore companies. This deprives Turkey of “much-needed” tax revenue, according to the opposition. Yildirim is currently running for mayor of Istanbul Metropolitan Municipality in Turkey’s March 31 local elections.